“Out to Win” is a documentary film from award-winning Sundance alumni Malcolm Ingram that serves as an overview and examination of lives and careers of aspiring and professional gay and lesbian athletes from all over the world. 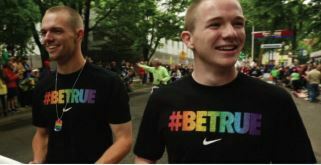 Chronicling the present, framed within a historical context of those that came before, this film highlights the experiences of athletes who have fought and struggled, both in and out of the closet, to represent the LGBT community and their true selves. This film is told through the voices of pioneers, present day heroes, tomorrow’s superstars, and the people who’ve helped them get to where they are including agents, managers, fans, team mates, coaches, organizations, and members of the media.